The Kleemann KD-Box is an efficient performance product for all Mercedes-Benz CDI models and also for the new BlueTec and BlueEfficiency engines. Please consult the individual products description for details and applications. 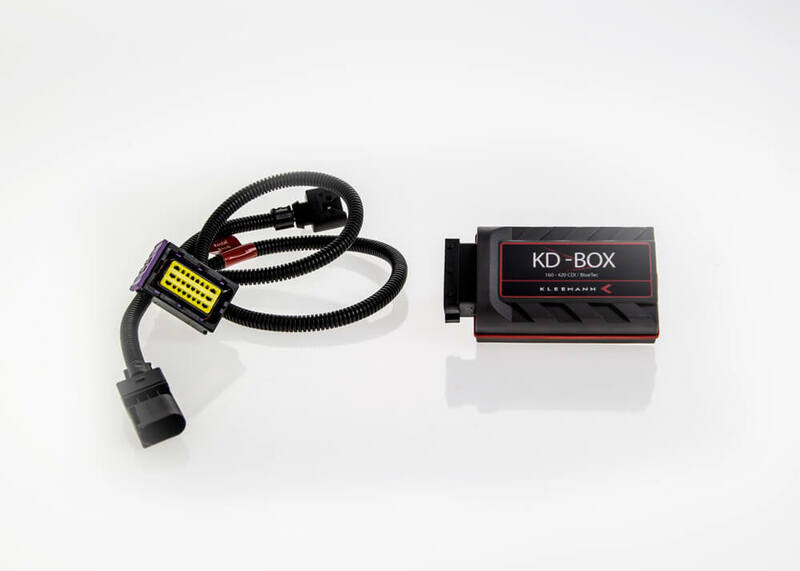 The KD-Box is a convenient tuning solution as it is fitted only by cables and plugs with no need to open the engine control unit (ECU) or to replace any components. The KD-Box can be quickly removed for service, leaving no telltale of tuning. The KD-Box is adjustable and can adapt to the characteristics of the individual engine, ensuring a perfect power curve while at the same time preventing overload or setting check lights. In addition to the increased levels of power and torque (approx. 20%) the KD-Box provides a sharper throttle response for maximum driving pleasure, and has been shown to improve overall fuel economy in many cases.